AJ's Garage Door Service has announced they have a new location in Oro Valley. The company stated this was done to better improve their service in the area. Not only will it improve their service and response times in just Oro Valley, but the move was also designed to help better serve their residential garage door customers in Marana, Saddlebrooke and the Northwest Tucson area too. Their new garage door service dispatch is located in the heart of Oro Valley, so service response times are faster than ever. This Google Map page at https://goo.gl/maps/Bgdz5tgkL7N2 also highlights some of the areas in Oro Valley and the surrounding communities that will be serviced from this new dispatch location. Banks acknowledged that their new dispatch location gives their Oro Valley customers so many advantages they did not get from the company’s previous dispatch location. This includes being able to get to their Oro Valley customers faster anytime they experience a garage door emergency. They can now offer same day service in many cases. The company will now be providing a wide range of garage door services out of this new location. That includes doing any type of garage door repairs that their customers need. Their technicians are well-trained at doing such important garage door repairs as complete spring replacements and new garage door opener installations. A person can also call them to have their garage door realigned or to have routine maintenance done to prolong the life of the garage door at their home. 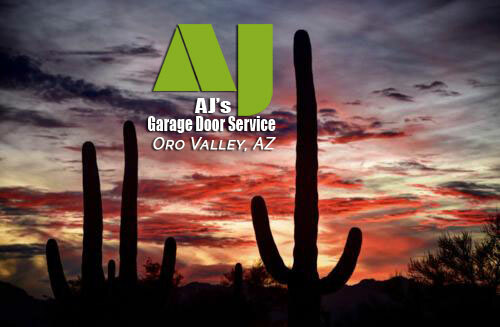 At AJ's Garage Door Service of Oro Valley, they don’t just do small repair and maintenance services either. They have a reputation for excellence when it comes to doing entire garage door opener system replacements and complete garage door system rebuilds. Banks stated that those who work at AJ's Garage Door Service of Oro Valley pride themselves on being a locally owned and run garage door services provider. They think that smaller is better because they can then give their many customers a more personalized type of service. Banks and the technicians doing the work know their customers on a first name basis in many cases. At AJ's Garage Door Service their philosophy is simple. Banks says that they not only aim to gain their customers’ business by doing thorough and high-quality garage door work, they also want to earn their customers’ trust along the way too. That’s an important goal of theirs they keep in mind every time they do a garage door job. More on this progressive garage door services company can be seen on their Google Business website when people search for AJ’s Garage Door Repair Oro Valley where they go into even more detail about the different types of garage door services they offer and how they go about doing them. This website also contains all of the contact information for the company and features a drop-down link that will help someone schedule a garage door service call with them.